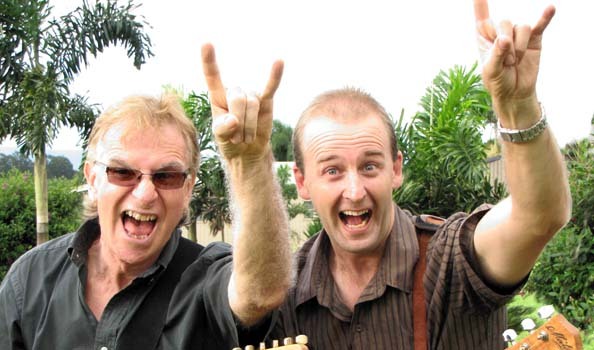 The Swamp Dogs are celebrating over ten years of playing and working in the North. 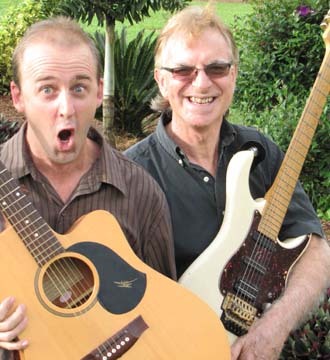 Comprising Barry Dikes and myself, both playing guitar and singing, we've become the duo of choice for function organisers on the Tableland and Cairns region. 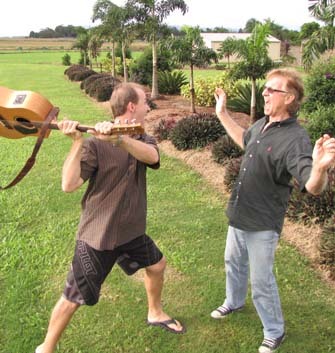 Originally both based in Atherton, I moved to Cairns while Barry remained in the land of his youth. We met when Barry joined The Benders (a band I was a member of at the time) as our drummer. We discovered we had a musical empathy and that our voices blended well. When The Benders disbanded the duo was formed. 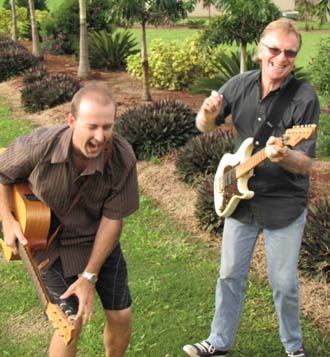 Barry and I wanted to continue on as a rock band, but with a stripped down membership and ability to be more flexible - only two members to work around! From the start our philosophy was to include new songs as well as classics and have stayed true to that philosophy, constantly updating our set lists as new, contemporary songs are added. When Barry decided to devote more time to his young family and less time away on weekends, The Swamp Dogs became more of a hobby for him, but I still enjoyed playing and didn't want to give up. I contemplated finding another partner to replace Barry, but started working solo and found I enjoyed the challenge of creating a band sound by myself. This involved recording my own harmonies onto my backing tracks. I've always loved harmonies and derive satisfaction from creating layers of voices. I took the same philosophy as the Dogs - adding contemporary songs to the repertoire as they are released, but I also keep adding older songs too. Personal favourites, plus songs that are often requested, have been added to my set lists so that now I have hundreds of songs in my repertoire, covering the last 60 years of rock!